start off by jacking your car up or safest bet is put it on axle stands to make access easier. I also removed the drivers side wheel as it gives better access to the sump plug. once jacked into the air go under front bumper and remove these 2 bolt and the wheel arch for other 2 bolts holding plastic underguard. once removed pull the plastic underguard out and put it to one side. now you will see where the sump plug and oil filter are. 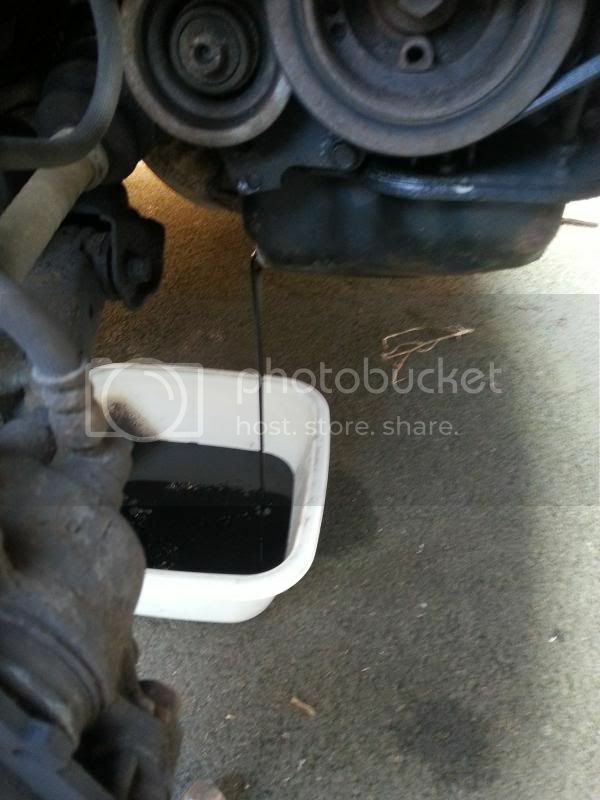 next go back into wheel arch undo the sump plug and drain oil into a container….i used a washing up bowl. 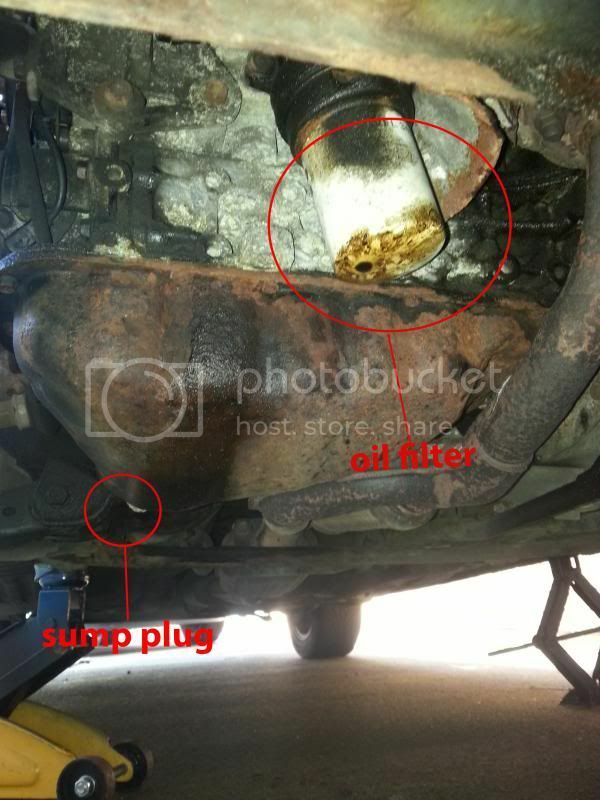 once all the oil is drained replace the sump plug and tighten it up. next remove the oil filter, if its to tight to undo by hand use a chain. let the excess oil drip into container. next get new oil filter out and fill it 3/4 full with fresh oil and rub a smear of fresh oil around rubber seal. clean the surface around where the filter is going to sit with a rag and screw the new oil filer in place. you want it around half a turn beyond where the seal meets the metal, it doesn't need to be as tight as possible!. 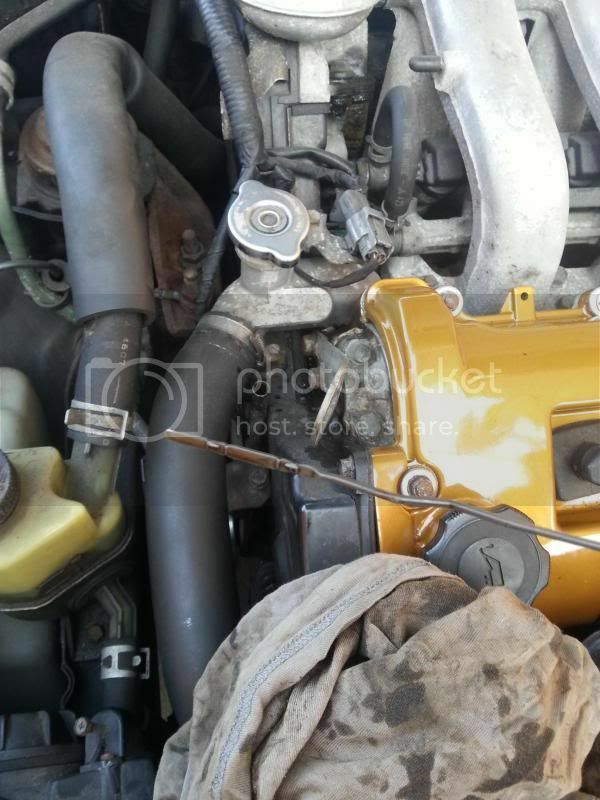 Now fill the oil up on top of engine and check levels with dipstick. 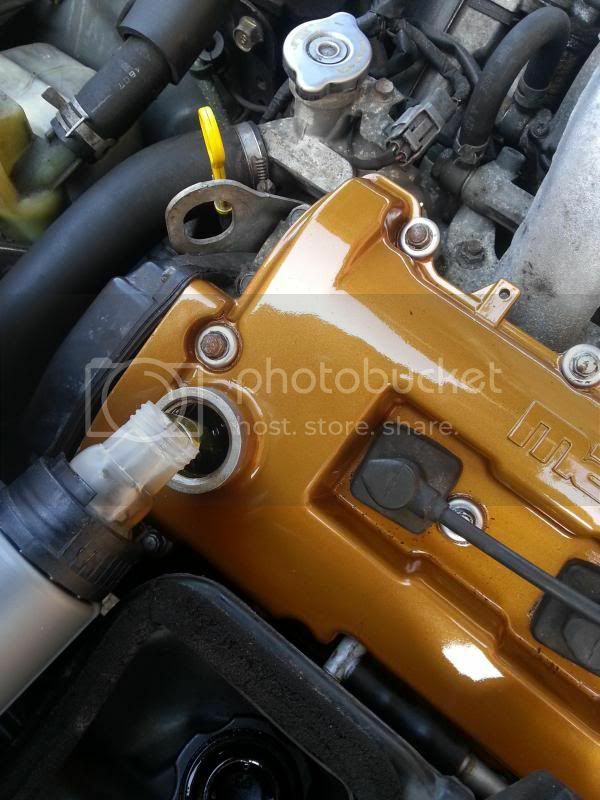 Finally start the engine up and check underneath for leaks, if there are no leaks replace the plastic underguard.